Happy holidays!! I am a descendant of Ezekiel Roberson who was a slave on the Cross Roads plantation. 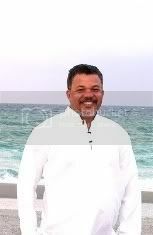 I feel that your website is really important because it gives me a sense of connection to my ancestors in Martin County, NC. I am fortunate because there are many African Americans in this country who have no idea what land their ancestors worked and tilled. My grandmother, Eunice Roberson Best grew up in Robersonville and she taught me all that I know about that area and our family. She joined our ancestors in April of 1999. Her memory will live on forever along with the memory of those who preceded her. P.S. By the way, a member of the Roberson family did contact me and thanked me for leaving that note. He is a business man in the Raleigh Durham area. He also encouraged me to continue my research. I thanked him. Wow!! Stephen you are a great man. Harmony resides in the hearts of those who can see beyond fascism, and the atrocities associated with it. The inhumane and far-reaching repercussions of slavery can never be overstated. It takes a man of your calibre to seek understanding, forgive, and release not only yourself, but all of us from mental slavery. Sorry, this is too difficult, I can feel a fresh lump in my throat just thinking about it!!!!! It churns my stomach!! This subject has churned many a stomach, but it is important to never forget. I won't forget for those African ancestors that never had the pleasure of returning to their loved ones in Africa. I sometimes imagine them and I'm sure that they spoke proudly of their family in Africa (in secret) whenever they had they opportunity. They couldn't wait to sleep at night because they would sometimes dream of their loved ones who would speak to them in their native tongue. Their images became more and more distorted as time passed until they didn't recognize their dreams anymore. I am one of those folks who don't want to remember but know that I have too. That slavery hurts me,. I would like to trace my roots. I hope it is alright for me to comment on this, It is something that churns in me too... even though I and my ancestors had no part. I never lived in the south but I do know very terrible things still happen today and elsewhere, I love the movie "amastad" it is very powerful!!!!! something people of any race can look to and learn from. All our families struggled and many have ancestors who suffered ....all for and because of diffrent reasons... we just forget that....my grandfather gave his life to make something for his decendants, he did do it of his own free will, which I understand makes it diffrent, but those of us who are amerians now because of the suffering of someone who came before, need to find a way somehow to come together against those who did and still do wrong - and do it in a way that says you try to crush us but struggle makes us more beautiful in the end. I am very drawn to immagrants now and I reach out to them in honor of my ancestors ...... prejudice has many forms. Your letter was a very good idea ..... You are a voice for the past present and future. It's wonderful when people can get in touch with their personal family history. I have been tracing the Indian side of my family as well as the black side. My great-grandmother and her side of the family were native Indians and so, I am curious to find out which Indians (by name) they were. I can't find out much about my black side past the people that are still living because all of my older black relatives are dead. The only ones still living are my aunts and uncles who were born in the forties. My aunt has been working on our family tree for years. I loved the post! I think you're brilliant Stephen and it takes a person of great spirit to leave a note like that. I think it's wonderful that you know so much about your family. Remembering, knowing gives you a connection that many people are missing from their own ancestry. Learning our histories is an amazing thing. I applaud you for your interest and ability to research. We'll definitely have to share stories like this. I also think it is great to try and find out as much as possible about our anscestors. I give you huge amouts of credit for taking the time to research your past. It absolutely breaks my heart in a million pieces to think of how the black peoples used to be treated in slavery! How uncaring the whites used to be of all races that were not white. The Native Americans, the Blacks, etc. it is just really sad. I am thankful it is SO much better today, but sadly far from non-exsistant. The racisim and not treating everyone as an equal that is. Black, white, young, old, fat, thin, rich, poor, etc, it does not matter. We are all people and deep down we are all the same! I just wish everyone could feel that way. Ok, sorry I will get off my soap box now. Even though I am white, the whole slavery thing really breaks my heart and makes me feel sick to my stomach. Come check out my latest post when you get some time. I gave you a shout out! Amazing. I wish I could trace my own history. It has been generations of broken homes and dead-beat fathers - the thought of the task overwhelms me. I would like to know more about my mother's side. I know less about them. It's difficult for me to deal with suffering of any kind by any human. Thanks for your very heart felt comment and what you said is very relevant to what I said in my post. My only plea to America is to acknowledge that something wrong was done to a people. I don't care for Reparations or any other kind of monetary compensation. I just want them to acknowledge that it took place and that it separated more love than we could ever imagine. Thanks. Yes, it's so important to know who you are. I applaud you trying to research the Native Indian side. I know that must be difficult because much of their history has been erased. I learned from grandmother a very interesting story about the Native American side. Thanks! Thank for that wonderful compliment! I feel completely blessed that I am in touch with that side of my history. your history and it sounds very interesting. Yeah, I think that racism, sexism, ageism, and other negative 'isms' will be around for as long as there is a planet Earth. We just have to do all that we can to change attitudes so that the very future generations will become more and more aware. Thank you so much for your comment. I'm not sure if you are a praying woman, but I pray when things become overwhelming. As long as you have faith it will never let you down. Thank you all for your comments. They were very thought provoking and touching. Enjoy your day! That's absolutely wonderful that you know your history. I truly have a void in my heart because I do not know mine's. Well....not that far back. But I am working on it. Stephen, this is an awesome post! You have moved from recrimination to authenticity. This is a post that should be memorialized. Congratulations on this personal victory over the past. I was truly elated to read that you are a descendant of the Martin County Robersons. My Mom told me, many years ago, that we were related to Paul Robeson and that his father dropped the ‘r’ to become Robeson rather than have his children carry the slave-owners’ name. My family is from Parmele and Robersonville, NC. My grandfather was Samuel Roberson who married Maggie Highsmith. I currently reside in Orange County, California. Yes! our family is from Parmele and Robersonville as well. Yes, we are definitely cousins. It would take my grandmothers sister, Josephine Roberson to figure it all out, but yes. We are also related to some Highsmith through marriage. My uncle's name was Carl Highsmith of Williamston. He just died last year. You should email me so we can discuss this some more.